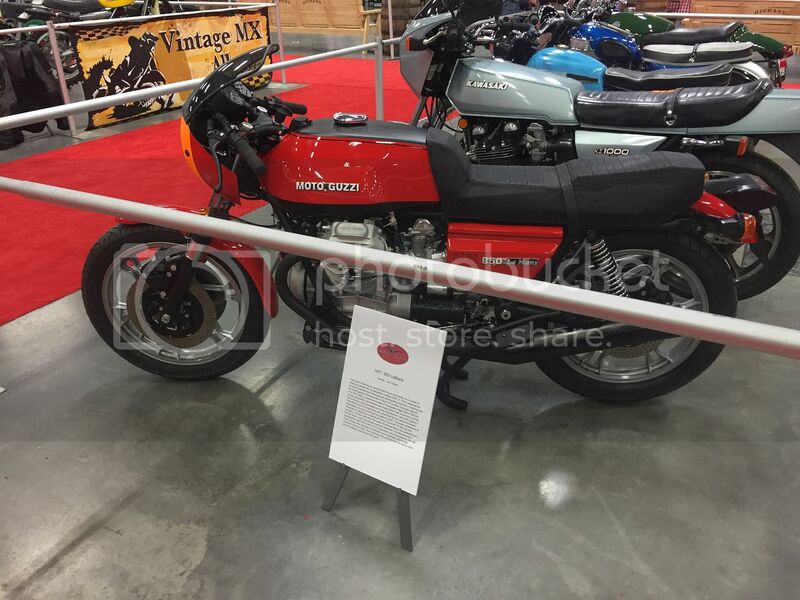 I showed the Le Mans I the travelling International Motorcycle Show at our local Canadian Vintage Motorcycle Group (CVMG) display of 20 motorcycles on the weekend. 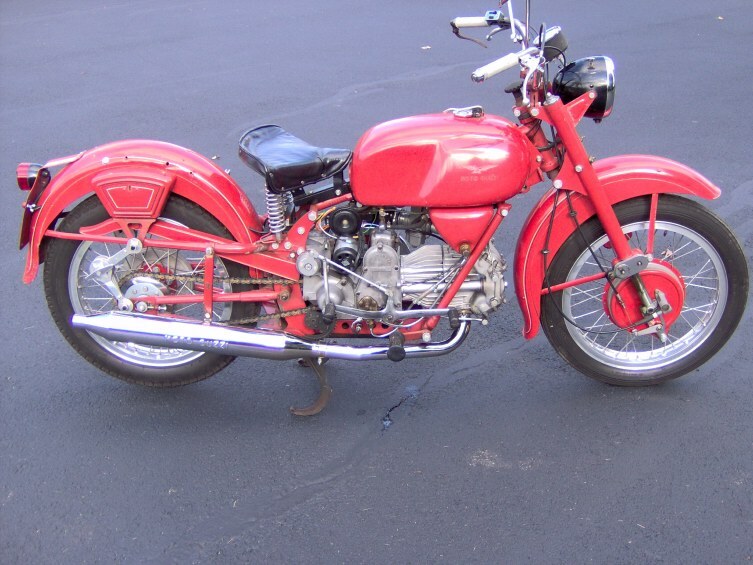 We had an eclectic cross section of bikes from a 1938 BSA single to a Honda Transalp. 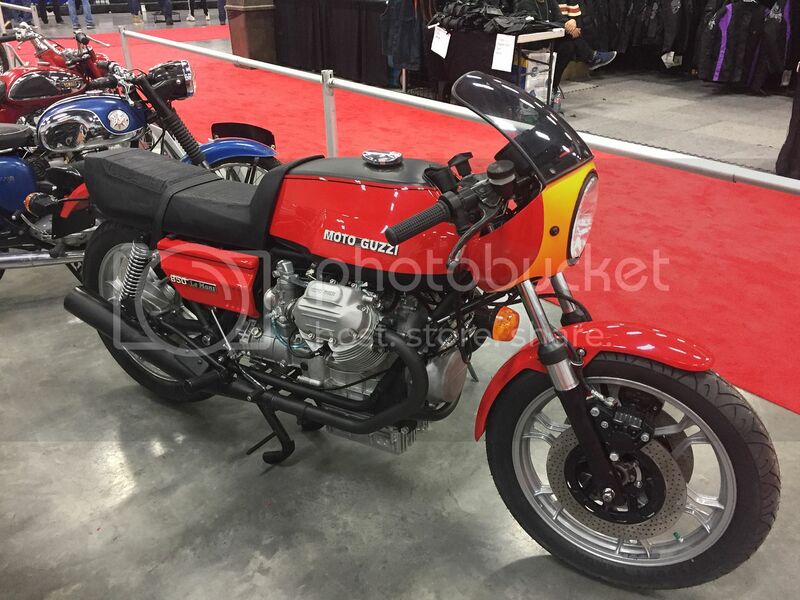 Most people who come buy have little or no knowledge of Moto Guzzi, typical of the crowd that is at least 50% into the 'Life Style brand"
Now to get back to getting the bike started and tuned. 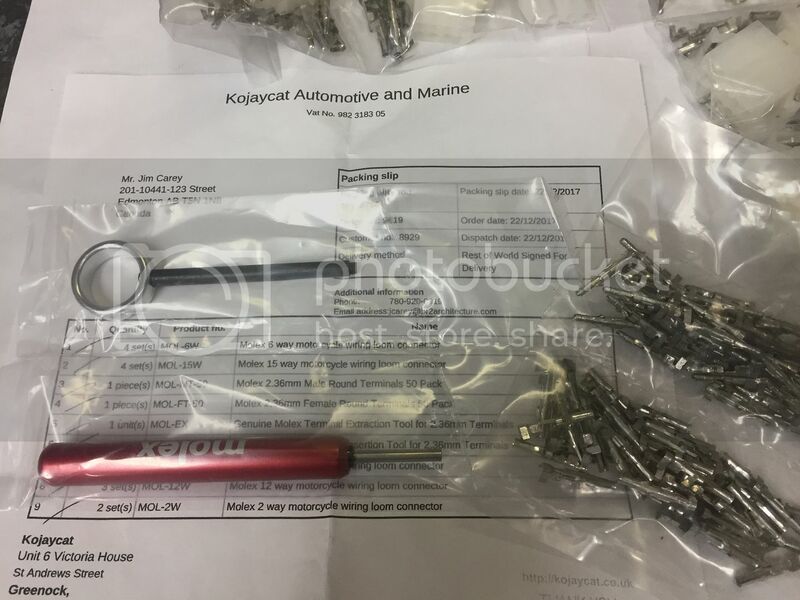 I am waiting on a batch of replacement molex connectors to finish the switch gear repairs. Great job making the show deadline. The bike looks great! I do see one major problem with the venue though..... those bikes should all be on the red carpet! The bike looks outstanding! Good luck with those switches. 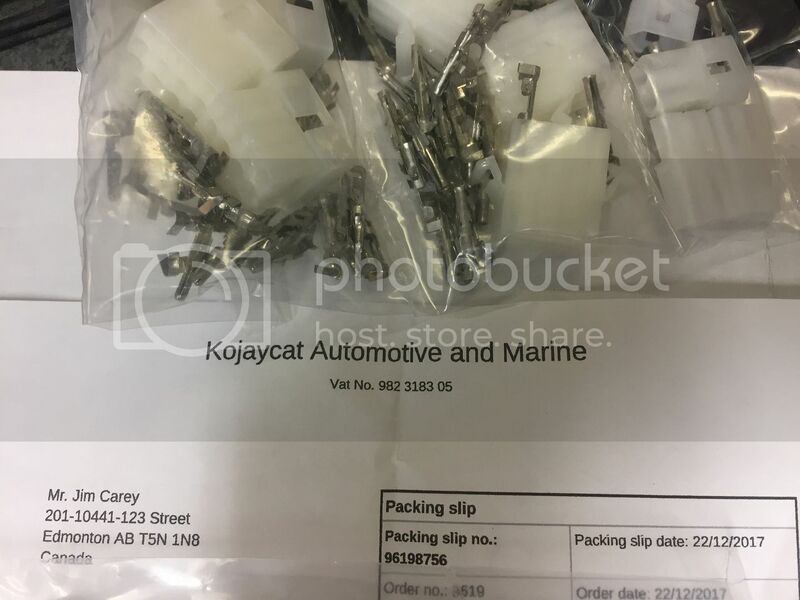 This supplier has all the Guzzi style connectors for the Tonti era, two pin, three pin, etc. Thanks for the lead Don, good to know. I just never thought of looking for individual components from Greg. Greg probably tires of me bugging him about misc. bits and pieces. Well alllrrriggghhhttyyy y then ! Starter working now thanks to Kiwi Roy, bypassed the press to start button and the starter does what it should! I checked the compression (new rings and honed iron pistons) and its an even 150 psi per side, I am happy with that, should go up to 160 psi with running on of the rings. 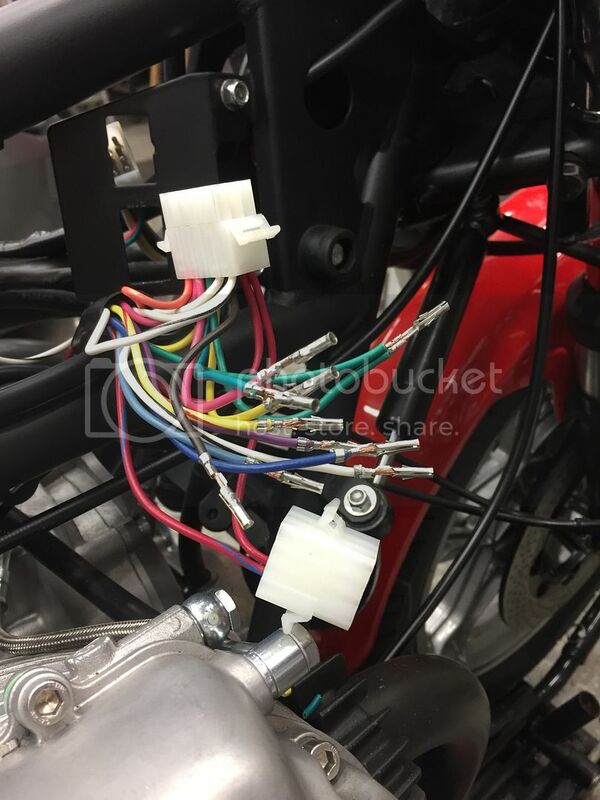 I tried a separate ground wire to the handlebars where I scrapped the paint off for the switch ground tabs and ran the ground back to the frame, press to start still won't start, same for the horn, grounding is not a problem, its still in the damn switches. I am going to strip the switches one more time before I replace them with modern universal switches, fingers crossed. FINALLY !!!! I have both the left and right hand switches working, reliably too (or so it seems). 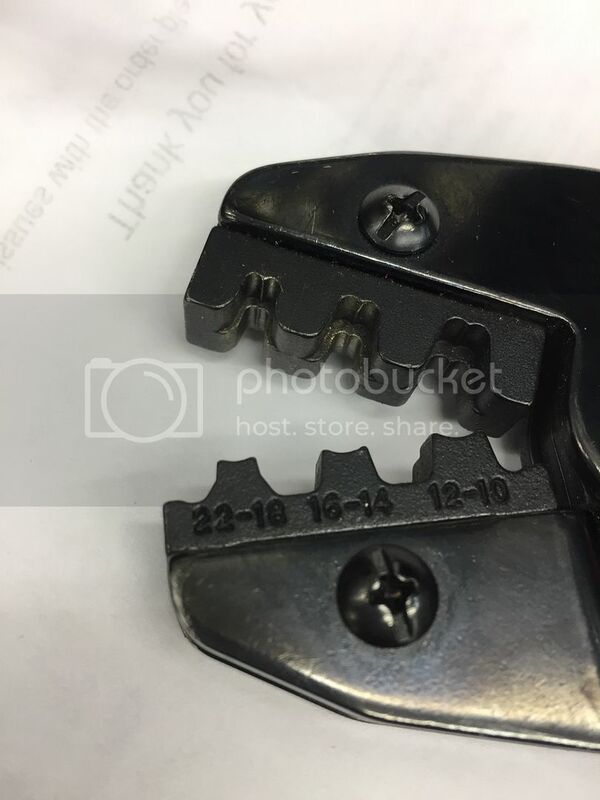 For the right it was a poor ground from the switch ground tab making contact with the bare clip-on bar face, more paint scraping, tab bending and 'springing' of the push to start tab until contact was regular and strong. I was so relieved I wore the battery down pressing the starter button while checking for a good strong spark on both cylinders. The left hand switch horn button was a bear to trace, same ground check, spring tab check, trace the power through the relay back to the fuse panel. Every wire showing continuity and then the penny dropped, the brown power lead into the fuse box had not made contact with the powered fuse box lug, duh!! 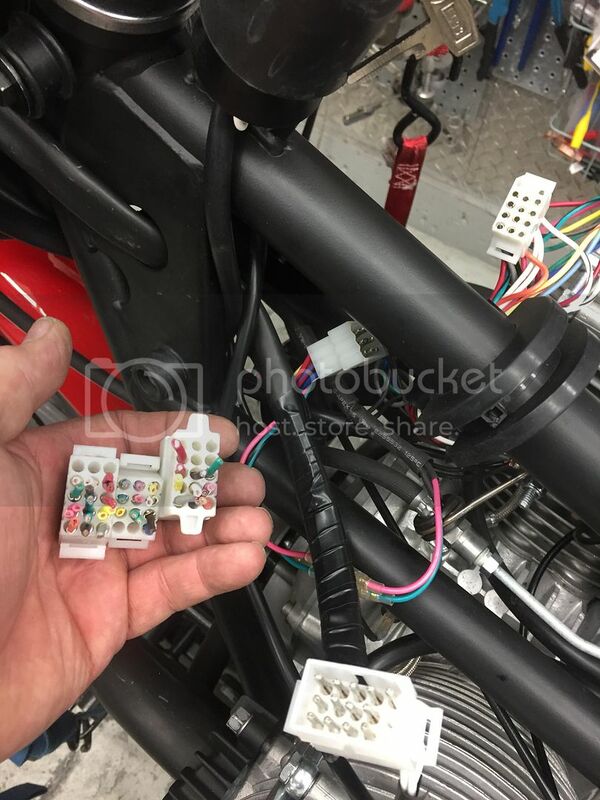 Well at least I eventually found it and its so satisfying to have all the lights, brake light signals and horn working as they should. Great news! We all knew you would figure it out. Look forward to the next chapter. And good work on solving the electrical gremlins! 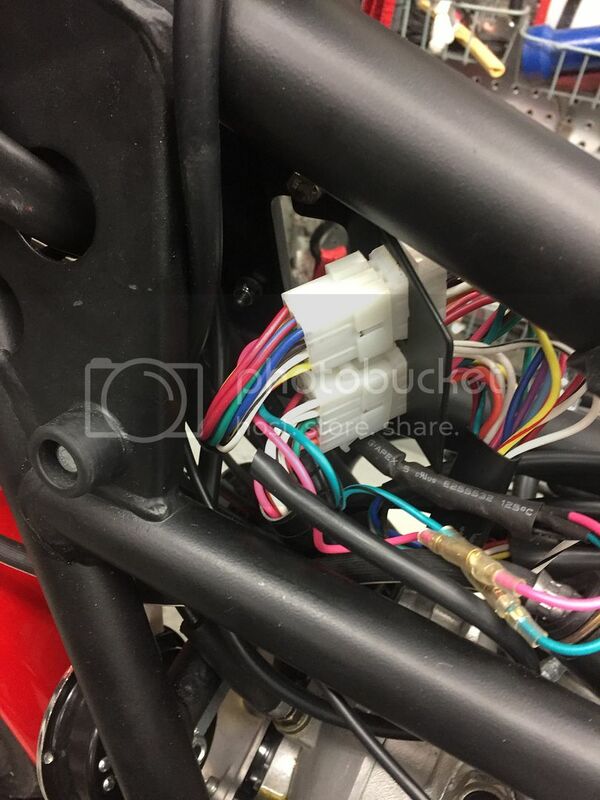 As always good job with the problem solving and great that you got those pesky switches sorted out. Jim, I noticed earlier in the thread that the headlight rim stuck out past the fairing about an inch or so. In your final photos the headlight rim is about flush with the fairing. The stock US sealed headlight sticks out. The European non-sealed headlight sits flush. What did you do to make it flush? The European headlight is also smaller in diameter. MG Cycle sells a reproduction fiberglass faring with the smaller diameter headlight opening, this is what I mounted on the 77 Le Mans. I then found a matching diameter all black headlight on UK Ebay to fit the opening. In my opinion the US version with the headlight sticking out past the fairing looks like a Minion from the movie Despicable Me! I need to wait for some warmer weather to move the bike onto the driveway and start it up, I think that won't be for another month! 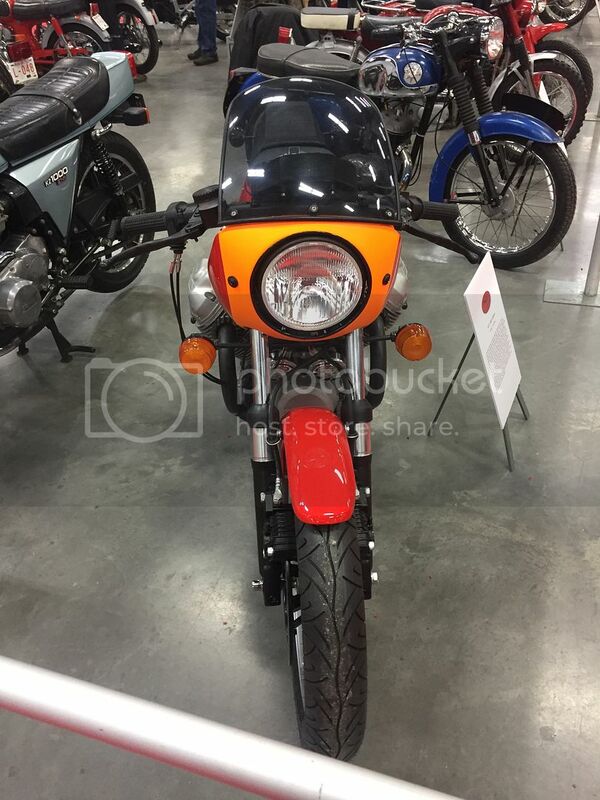 The previous owner of my 1976 LeMans modified the bracket that mounts the fairing, so the headlight does not stick out. Looks fine, but it makes adjusting the headlight a bit tricky. 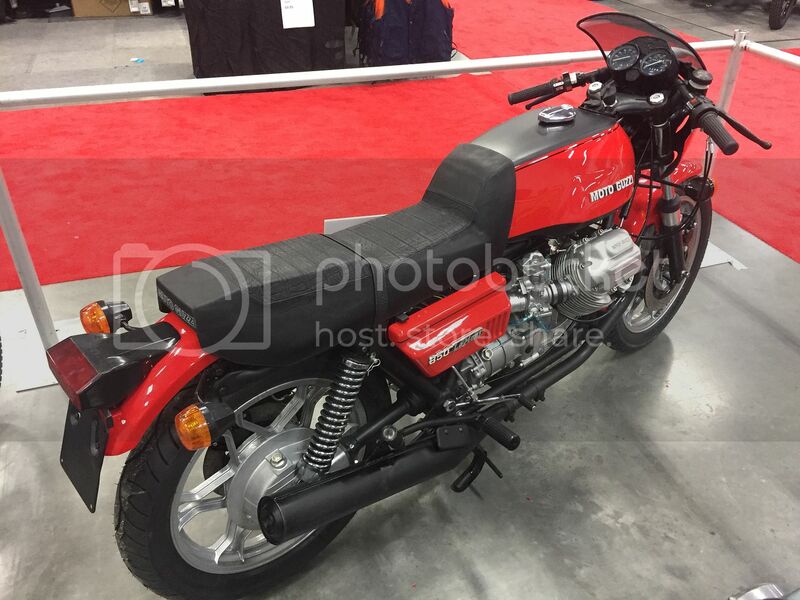 Is there another headlight rim and or reflector that fits into the stock bucket and uses the stock fairing? Not that I know of, measure the diameter of the opening on the bikini fairing and check Ebay for a new universal headlight that may fit. I intentionally put the lego switch on my 850-T so you know I have serious mental problems. It took a lot of work tracing wires and emails to Greg but I finally figured it out. It's oddly almost as satisfying to sort out Italian electrics as it is to get an engine running for the first time. Legos are quite a bit better than what Jim's dealing with. 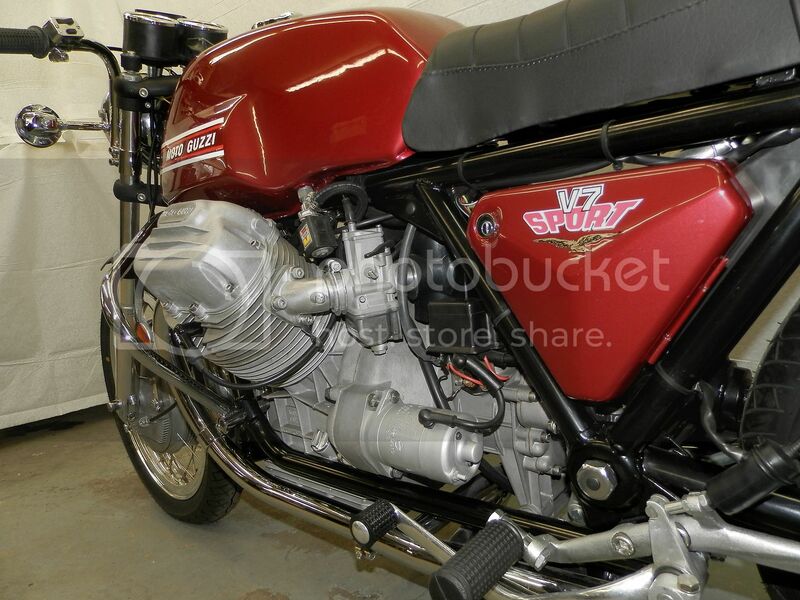 It's oddly almost as satisfying to sort out Italian electrics as it is to get an engine running for the first time. True. But I think it’s easier to get an engine running for the 1st time than getting the Guzi electionics working !! I do share your sense of satisfaction with beating a gremlin. Nice project looking good, doing a California to Cafe project and wanted to ask if you could help me out with a couple of measurements so I can get my ride height set... What is the fork length top to center of the axel and the rear shock length, if you could share those numbers it would be a huge help. Going to start posting a thread once I start getting things back together in the mock up phase. Quite a bit? We are still talking about degrees of horrible here. Hi 10doh, Your California doesn't have the same height of the steering head as the Lemans have, so the measurement will not be the same. For the California and most models after 1985 the steering head height on the BB tonti is 220mm vs the 170mm on the models up to 1985. You can check out my thread in the build sections also. I had the same issues when I changed the frame. The ‘start-up’ awaits Mother Nature’s cooperation, it has snowed at least 25cm (10”) in the past two days and daytime high temperatures around -20C. On top of not wanting to open the garage door and let the heat out I have been fighting a lousy flu for a week and shivering any harder is not in the cards. The LeMans is itching to show me what it’s got and I know it won’t disappoint. Let’s hope Spring comes in March! !